Link up your best Black Friday purchase by grabbing the Frugalista Friday button on my sidebar and adding it in your post. Paste the link for your post in my comments area below. Next Friday, I will feature some of the best deals of the day. I'm that girl that is waiting in line outside Belk when it opens at midnight to be one of the first 250 to receive a gift card. Said gift card could possibly be anywhere from $5 to $1000! Guess what mine was worth? After leaving Belk (and the madness that consumed over 50% off Sperrys), we headed to Old Navy. Every year I stock up on some essentials at Old Navy. This year was no different; leggings for $5, tank tops for $5, and a tunic for $15. Yes, it was all for me, but they were necessary basics. So, the best part of my night (cue the music) was when I left my Old Navy purchase and some cash with my girlfriends that went with me and went to Home Depot. You see, my hubby and I have been contemplating purchasing a fake Christmas tree for a few years now. With my family still in NY and his family here in NC, we alternate spending the holiday in either state. The years that we are in NY, we always come home to our real tree's sheddings and a mess to clean up. So, last year we had the bright idea to buy a fake tree after the holiday, but we got there late. So, as I was scouring the Black Friday ads and mapping out my game plan, I noticed several places had good deals on Christmas trees. I'm picky though - I want that thing to look legit. 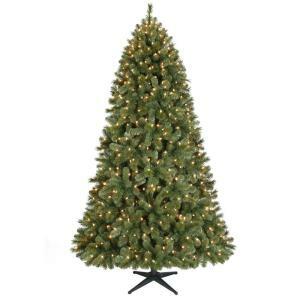 As I came across the Home Depot ad, I saw a Martha Stewart pre-lit tree marked down from $179 to $59! You know I was there at 4:30 a.m. to get in line for that thing! I won't even tell you about the lovely couple that decided to come up and skip everyone after sitting in their warm car and screaming at the employees that they had been there all morning. Nope, won't tell you about that at all. Hahaha! As someone that has never been black friday shopping, i love hearing about people's experiences. Makes me feel like I'm missing out on nothing but chaos ; ) But that is awesome about the tree! those things are dang expensive at full price.